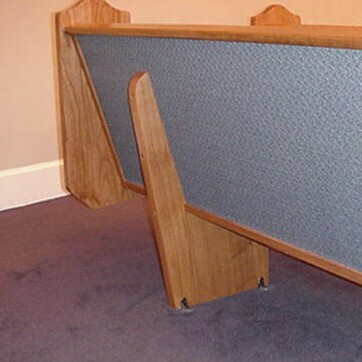 We have had numerous requests to help find mounting brackets for pews. These are a custom item and we have ordered some so you will have a supply. These angle brackets have been finished in a bronze finish to complement the wood on your pews. Each leg is 1 3/8″ long, and the long side is 2″ from end to end (where the holes are). Screws are not included. Different installations need different types of screws. 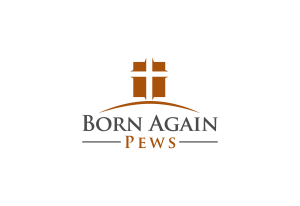 If your pew support is particleboard, you will need 1″ or 1 1/2″ particleboard screws. If it is wood, then 1″ or 1 1/2″ wood screws. If the floor is wood, try 2.5″ – 3″ wood screws. If concrete, you will need lead expansion bolts (anchors). You can buy screws or anchors at any hardware store. The opening is 1/4″ wide. Send your name, address, phone and quantity needed. If you need overnight shipping, it is available (usually) at an additional expense. Photo of pew anchored with brackets.